In 1963, a batch of enfants terribles from Dogtown, California, established a surf team called Zephyr. Wearing shoes for skateboarding, those notorious Z-Boys have rewritten the skateboardING culture to what we have known today. They went for skateboarding contests, made chaos, and connected skateboard to rock n roll music as well as fashion and finally made history. To some degree, the sneakers of now are heritage products of the inspiration in that period. 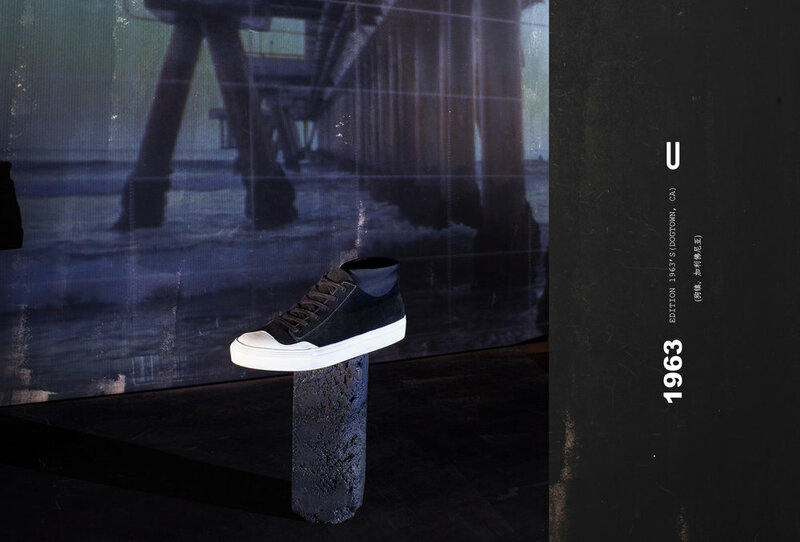 UNDUN has traveled to 1963, based on and inspired by which, we created the Edition 1963 to pay our tribute to the cradle of skateboarding culture. Of course, improvements can be observed. In order to protect shoes against friction on the ground, UNDUN modernizes the cup toe and develops a stretch sock in a more technical way. We keep the sole as simple and classical as what it used to be.